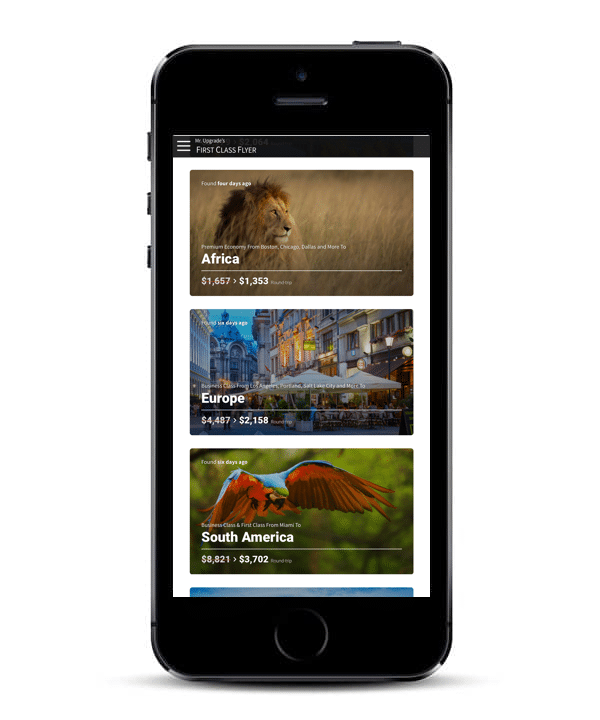 The world’s smartest flight bookings. and his team of industry elders. plus unpublicized Business and First Class fare alerts. First Class Flyer's airfares and booking strategies are invariably creative and often ingenious." 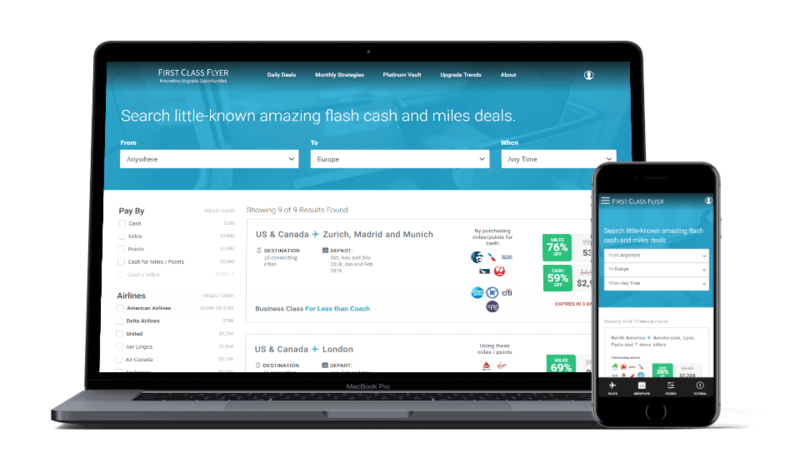 I jumped on FCF's Biz Class fare alert to Europe at $1,461 round-trip." The Industry’s #1 Premium Air Travel Report. 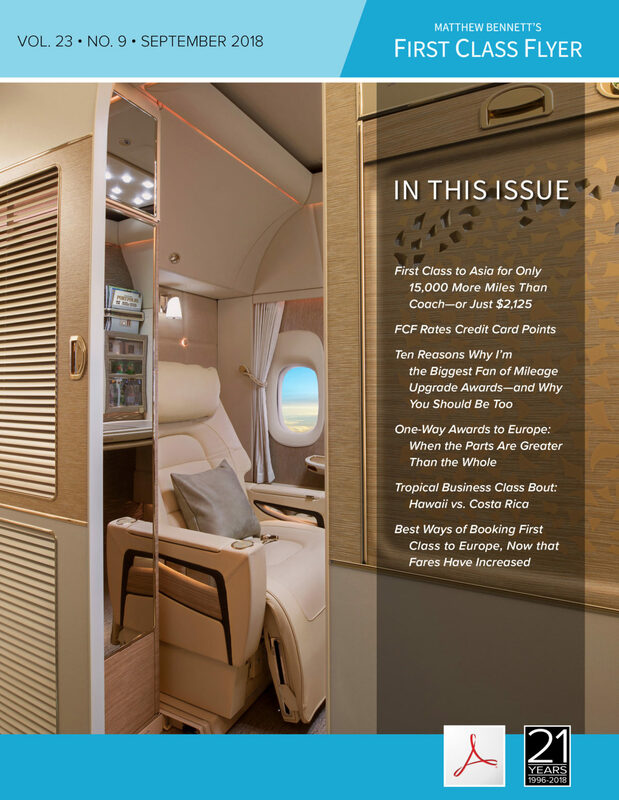 First Class Flyer is not only the most informative newsletter of its kind, but it's a genuinely fun and interesting read." The Only Source for Comparing the Best Premium Airfares and Best Miles/Points Opportunities. First Class Flyer is outstanding. Fly Up Front. No Tricks. No Stunts. FCF does not recommend hustling gate agents or "dressing up" as a way to upgrade. In fact, we suggest you don't go to the airport until the right ticket for you is confirmed. Our subscription model eliminates the need for credit card companies to grease our palms – at the expense to you of excluding the best opportunities. There's no credit card-churning or bank-hustling here. No grey-market tickets or methods that will get you in trouble with the airlines, nor deals on second-tier carriers. FCF is far from perfect, but we're not here to profit from other people's mistakes, so you'll never see "typo fares" or "mistake fares" on our site. 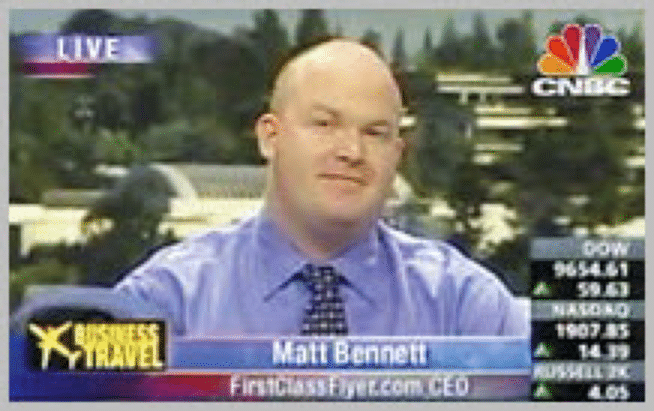 "It's both a privilege and my passion to yearly help hundreds of thousands of air travelers fly much better, and therefore thrive much better, simply by using the methods of The Upgrade Mindset, and hidden values we find almost every day here at First Class Flyer." Over the last 21 years, I've had the privilege of sharing my upgrade and ticketing strategies with Major League All-Stars, Hall of Famers, Academy Award Winners, Grammy Winners, Fortune 500 CEOs, and hundreds of thousands of ambitious air travelers, perhaps a little like you.